Farah and her friends get caught in a magical game. They’ll have to win challenges if they want to escape. Farah is a quiet and analytical sort of person, who comes from a family that play a lot of games. I liked that she is Bangladeshi and a practising Muslim, who wears a hijab. This is treated in a positive way. Her friends have known her for a long time, so there’s no hostility or questioning from them (there’s some from the children from Farah’s new school, but this isn’t shown in detail). Some of the side characters are fun, such as the giant lizard, but I wasn’t really feeling Farah’s two friends. Part of the issue was the time limit on everything they did, so there wasn’t the sort of downtime where they could talk to each other. There’s an added distance because Farah hasn’t seen them for some time and doesn’t know what to say. When it comes to the gameplay aspect of the story, the book delivers on its promise. 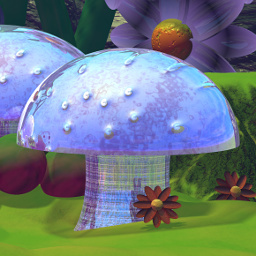 The game world is an elaborate clockwork construction with multiple layers. The children have to play games, solve puzzles, and all the while keep an eye on the bigger stakes. Due to them looking for Farah’s younger brother, Ahmad, there’s time for exploration of some of the world’s secrets. It’s very imaginative with a steampunk vibe. Though again, there were points where things rushed by rather quickly, as the characters weren’t in some areas long enough to really get a feel for them. My biggest issue was with Ahmad. He’s a seven-year-old with ADHD. Before ADHD is mentioned, I thought he must be dying, because the family avoids upsetting him and doesn’t set any boundaries for him. Farah is expected to go along with anything Ahmad wants. She has to play with him instead of her friends and she has to let him win every game. Ahmad has to have presents on anyone’s birthday, though still demands to open and own Farah’s presents. When she stands up to him, she knows she’ll get in trouble if he throws a tantrum, as though it’s unreasonable for Farah to want things for herself. This is blamed on ADHD, when it’s really about how the family react to Ahmad. Added to this, Ahmad’s mind is described as maze-like, as though he’s an unfathomable puzzle to be solved. I wondered if all this might be addressed later in the book, but it isn’t. 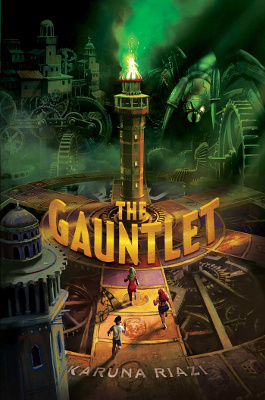 I was down with the steampunk game, the people that lived inside it, and the overall puzzle-solving plot. I liked Farah as a main character. However, Ahmad’s treatment made me uncomfortable. It also felt like the pace moved a bit too quickly in places.